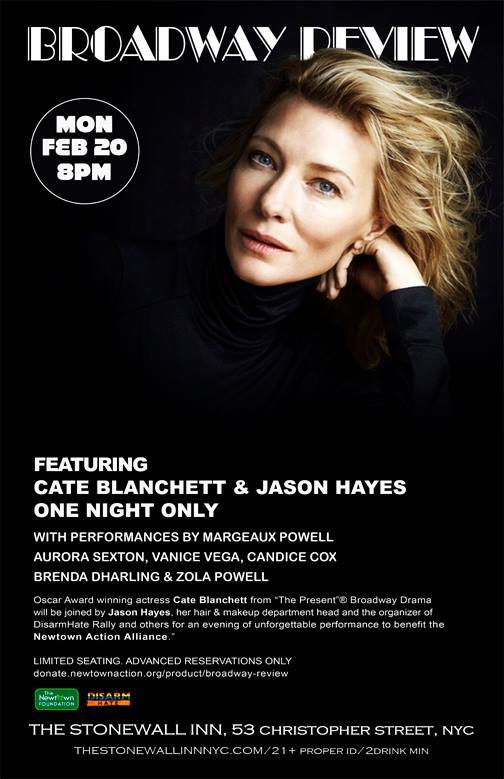 On February 20, 2017, Cate Blanchett, two-time Academy Award winner currently starring in the hit Broadway production “The Present,” will headline a unique, one-time-only drag revue. 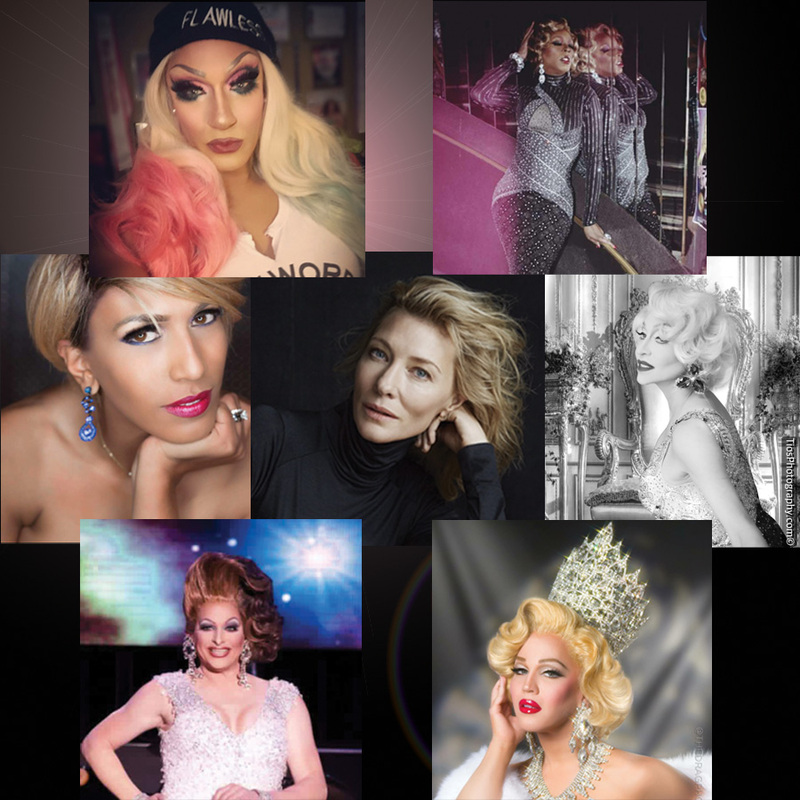 She will be joined by her “Present” cast mates and performers including Jason Hayes/Margeaux Powell, organizer of the event and founder of the LGBTQ Equal Rights & gun violence prevention group Disarm Hate; transgender activist Candis Cox; and Aurora Sexton, Miss Gay USofA, Vancie Vega, Brenda Dharling, Zola Powell among many others. The revue will benefit Newtown Action Alliance…a fabulous event for a fabulous cause. The event will take place Monday, February 20, 7pm Doors, 8-10 pm show time at the legendary Stonewall Inn at 53 Christopher Street. Tickets begin at $125 and are available HERE. All proceeds will benefit the Newtown Action Alliance, an all-volunteer grassroots organization founded by Newtown residents after the tragic December 14, 2012 Sandy Hook Elementary School shootings. Cate Blanchett is currently making her Broadway debut in the hit production of Chekhov’s “The Present,” at the Ethel Barrymore Theater. She has received international acclaim and many accolades, including six AACTA Awards, two Academy Awards, three Screen Actors Guild Awards, three Golden Globe Awards, and three BAFTA Awards. The Newtown Action Alliance (http://newtownaction.org/ ) is a grassroots organization formed after the tragic shootings at Sandy Hook Elementary School. The Newtown Action Alliance works to bring about legislative and cultural change that will reduce gun violence, a public health crisis in our country. The 11th Annual New York Dance Parade & Festival Makes Manhattan Groove on Saturday, May 20th!! !